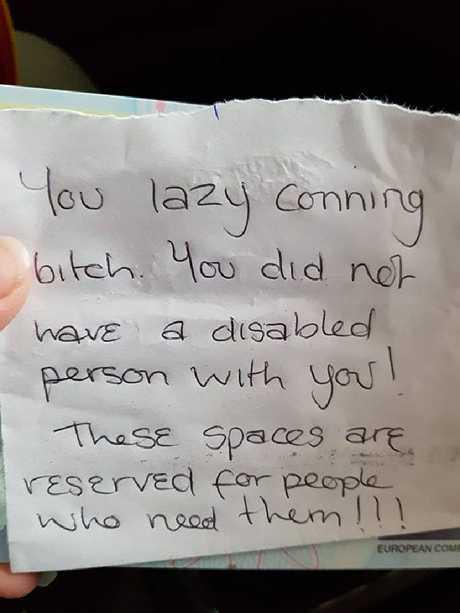 A MUM was left devastated after receiving a nasty note calling her a "lazy b*tch" for parking in a disabled spot to take her terminally ill son to the hospital. Emma Doherty has hit back at the "coward" who left a horrible note on her car after she had taken her three-year-old son Bobby to the Alder Hey Children's hospital in England. The 31-year-old was blasted by the anonymous person for parking in a disabled spot. "You lazy conning b*tch. You did not have a disabled person with you," the note read. "These spaces are reserved for people who need them!" 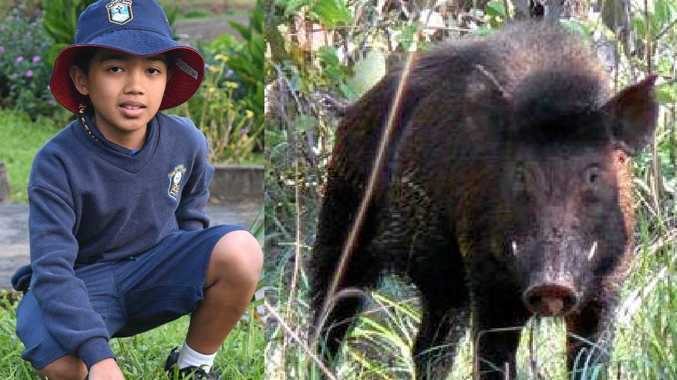 Bobby was born with three holes in his heart and had been through over dozen serious surgeries and is regularly in and out of hospital. He usually uses a wheelchair which is why Emma has a disabled badge on the car, but this day she carried Bobby into the hospital as they were running late for an appointment. She posted to note to Facebook in the hopes the person who left it would see it and understand her reality. "How dare you ever accuse anyone of not needing a disabled badge without knowing," she said. "I've sat through things nobody should see but why did your note break me? Because it's your pure ignorance towards others I'm a single mum trying my best to hold it together for my son who's in and out if hospital. "NOT ALL DISABILITIES ARE VISIBLE and I hope you regret doing this and learn your lesson!" People were quick to share their disgust at the anonymous note. "This is disgusting, what a vile person to do this, people are just so ignorant," one person wrote. Another said: "I bet they were in their car watching till you walked away! Cowards! They're not worth getting upset over, nasty people."